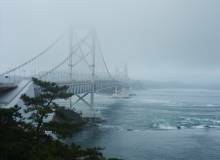 Shikoku is the smallest of the four main islands that make up Japan. Located to the south of Honshu, Japan’s mainland, it’s comprised of four prefectures: Ehime, Kochi, Tokushima and Kagawa. The island is known for its extensive pilgrimage routes, lush mountains and the Setouchi Inland Sea, around which the climate resembles that of the Mediterranean. A relatively easy island to navigate around, Shikoku makes for a great weekend away from the cities. Hop on a quick flight from Haneda Airport and arrive at Takamatsu Airport, Kagawa Prefecture in just over an hour. From there, begin a journey that’ll satisfy all your senses. A great way to begin the journey is with a scenic drive through the beautiful Iya Valley using the Kotobus Iya Valley bus. It runs daily to and from Takamatsu Airport and City Station, making stops along the way at local monuments and treasures. From lush green mountains in the summer to thousands of foliage hues in the fall, sparkling white winter to colorful spring, the sights of Iya Valley never fall short of impressing visitors. 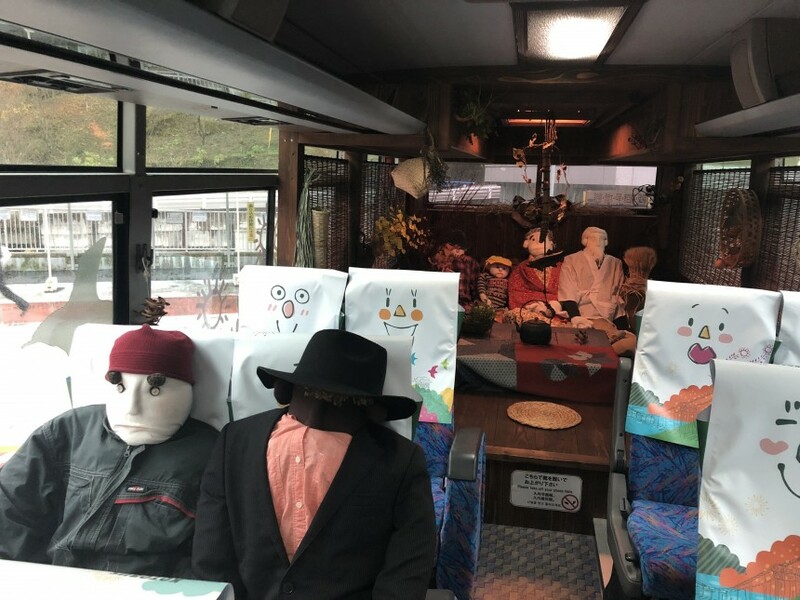 Take note of the unique bus interior — some seats are filled with handmade kakashi (scarecrows) and the back of the bus resembles a traditional Japanese living room. These scarecrows hold special meaning to this region, with a whole town filled with dozens of them (Nagoro Scarecrow Village). Along the bus route lies the famous vine bridge, Iya no Kazurabashi. Though there are several remaining vine bridges in the Iya Valley, this one is most easily accessible. Every three years, more than six tons of new vines are collected to replace the old vines on the bridge. The vines are dried out and woven intricately together to reinforce the bridge. Each vine represents a different pillar in the family and, thus, every additional vine strengthens the bond. Shikoku’s land and water is rich with ingredients to fuel all kinds of farm-to-table gastronomic experiences. 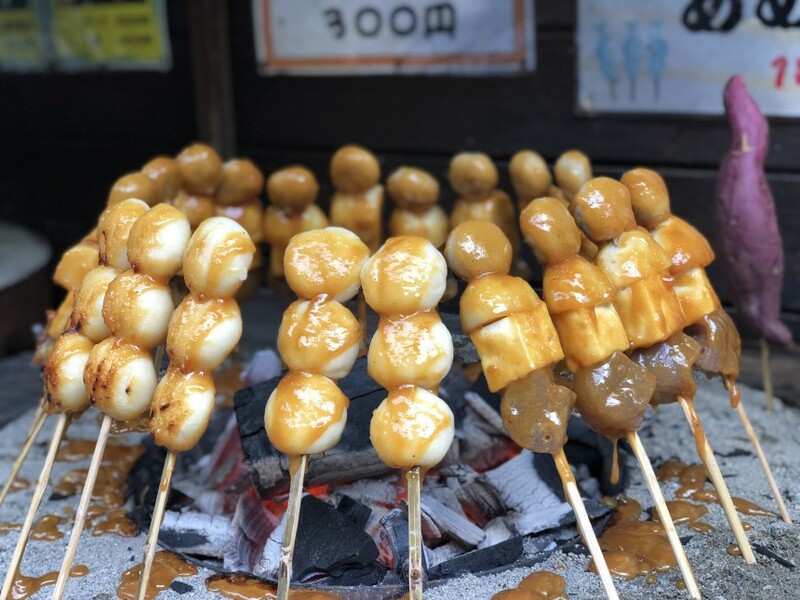 Try the amego (freshwater trout) grilled on a stick and other skewered delicacies including soba dango (buckwheat mochi) dressed in yuzu miso paste. It’s a tangy and sweet concoction, the taste being an effect of the citrus and sweet miso. Cozy up at ‘mom and pop’ restaurants like the Tsuzuki Shop for fresh soba and hearty tempura. The okaasan (mom) of Tsuzuki Shop goes out everyday to pick earthy ingredients from the hills of the valley. The people of Iya Valley have been making humble yet delicious dishes out of everything the land has to offer for centuries. Some other rare tempura on the day of my visit included apple and venison. Stick around the Tsuzuki Shop for a lesson in soba-making by the lovely obachan (grandmother), who serenades guests with songs passed down through the women of the valley, from generation to generation. Unlike other soba-making experiences, this class offers the experience starting from the grinding of the buckwheat, using traditional methods – all the better for indulging on the fruits of your own labor at the end. Kotohira, Kagawa is the penultimate stop (the final destination being Takamatsu) on the Kotobus. 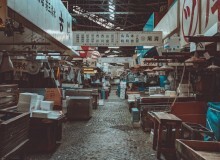 This area is famous nationwide as the home of sanuki udon, with udon shops outnumbering convenience stores and until recently, traffic lights as well. Kagawa Prefecture has over 800 udon shops mainly serving breakfast (as most close by noon). Get the full local udon experience first by taking an Udon Taxi with a certified udon expert taxi driver. 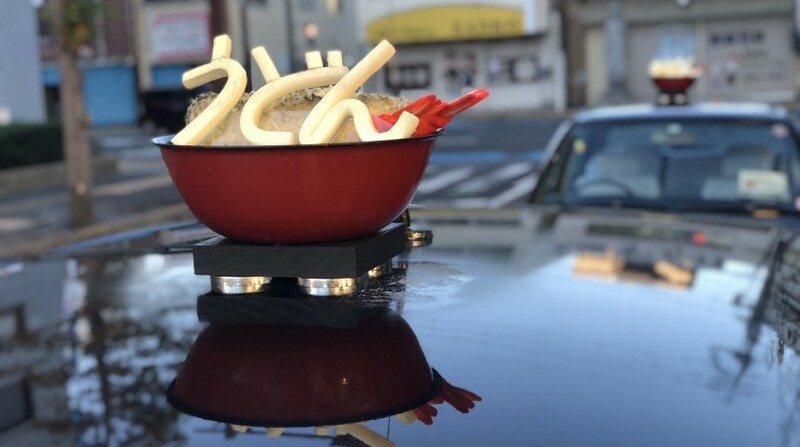 The driver is knowledgeable about udon and regional history; it’s evident how proud and passionate the people in Kagawa are about their udon. 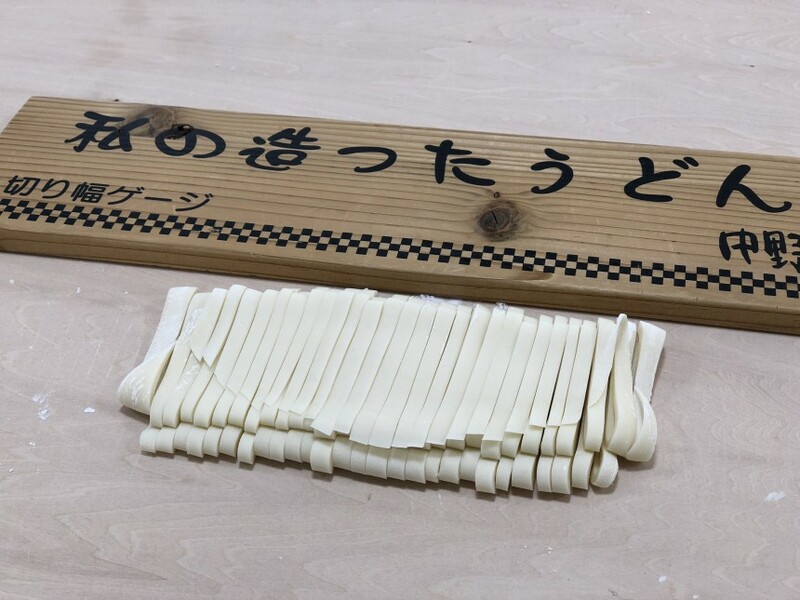 Visit Nakano Udon School in Kotohira for an hour-long energetic udon-making course. Just as many others in the city, the teachers here are passionate about their delicacy and truly put their sweat and tears into showing guests the process. Each session, from mixing the flour and water to kneading the dough (using the traditional method of using feet), is done to the rhythm of music. It’s an upbeat experience not often seen in Japan. The teachers here stress the importance of yaruki (motivation) over technique in making delicious udon. 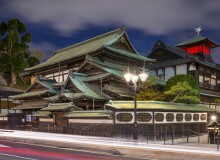 Hear the 19th-century Kabuki theater, Kanamaru-za (Konpira Grand Theater), come to life in the springtime. The Kabuki theater uses old stage techniques and tools, all made out of wood. Using man-power and hidden exits and entrances, the performances excite viewers from all corners of the theater. Listen to the old Edo period dialogues intertwine with the traditional Kabuki music performed by live musicians hidden behind a curtain. When the theater is not in production, it’s open to the public to walk through, which is a great way to see the theater’s underground and performer’s rooms. You’ll be astonished by how tiny the audience’s sitting areas are. No trip is complete without some local brews. Kinryo no Sato brewery is located in the heart of town, at the foot of the famous Kotohiragu (Konpirasan Shrine). It’s been in operation since the late 1700s. The brewery hosts a museum, with replicas of the traditional sake-making process and a showcase of historic artifacts including centuries-old sakeware. Visit in November for the hatsushibori, a festive time to enjoy the new seasonal squeeze of sake. Take in the smells of the brewery and the various sake that’s offered.